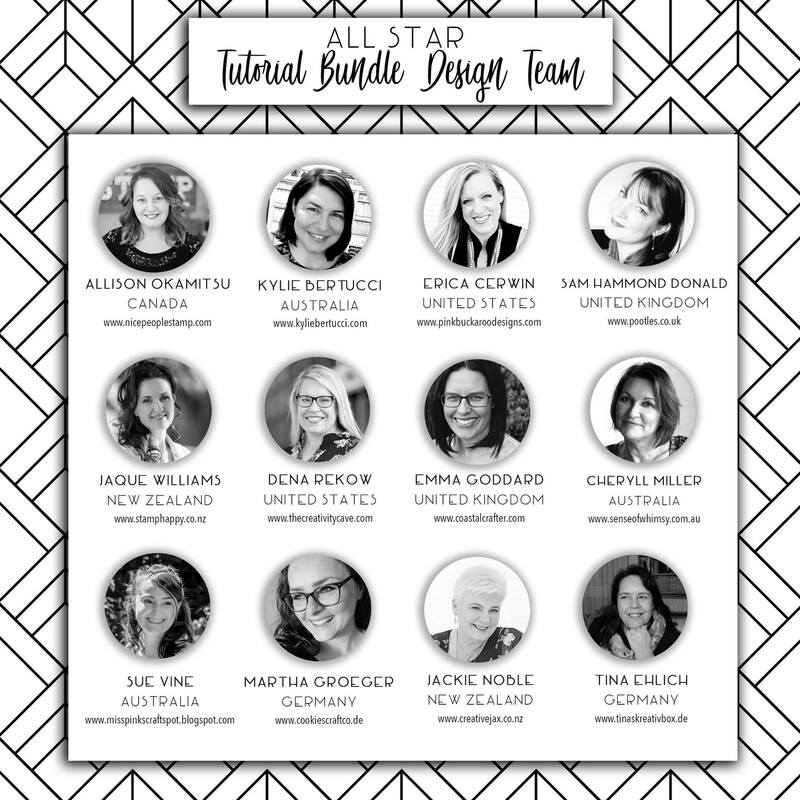 Hello and welcome to the February Tutorial Bundle Design Team blog hop! Here is a little Sneak Peek of this month’s tutorials. This month’s tutorials are absolutely amazing! – Erica and Sam are the queens of gift giving projects, and Tina’s shaker box is to die for. – Emma’s baby card is one of the prettiest cards I have ever seen. – Jacque’s slider chocolate bar holder is brilliant. – There is a card for every occasion in this bundle. Do you get these tutorial bundles every month? During February only, take advantage of the Subscription option. Subscribe to receive all six tutorials for February through July, and pay for five months only (AU$20 per month). Please email me at cheryll@senseofwhimsy.com.au to arrange for automatic Paypal Subscription. 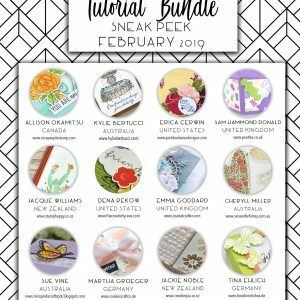 We are kicking off the release of the February Tutorial Bundle with a blog hop to showcase each of the designers. Be sure to visit everyone’s blog for a little taste of the quality and variety in this tutorial bundle. 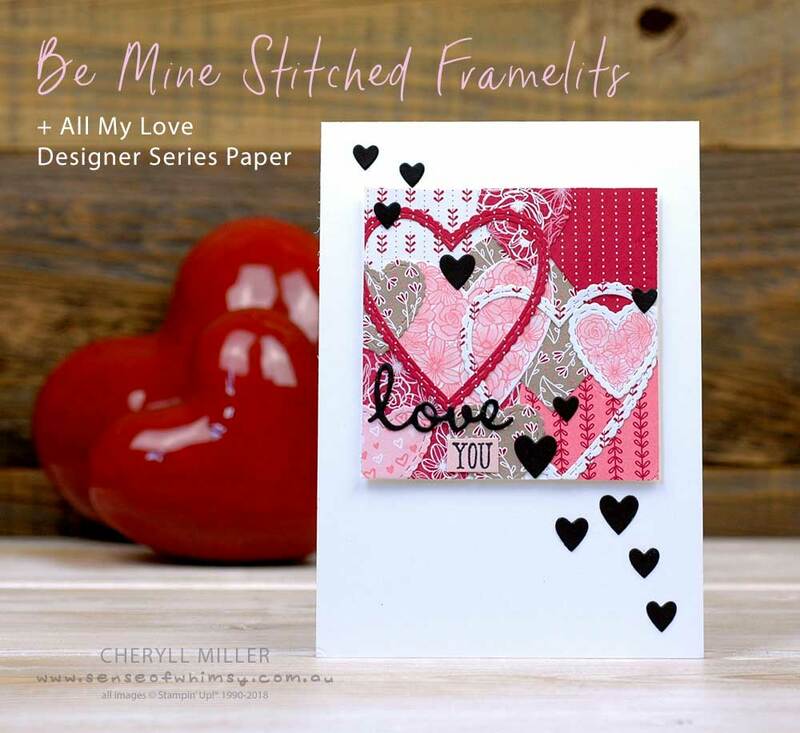 My project in the tutorial bundle uses the Meant To Be Stamp Set and co-ordinating Be Mine Stitched Framelits Dies (bundled together for a 10% discount on both). 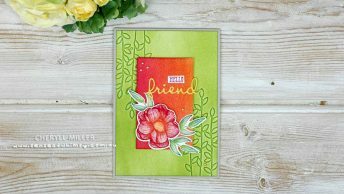 For the blog hop today I have used the Be Mine Stitched Framelits Dies plus the All My Love Designer Series Paper, but not the stamps. Remember my project here today is not the project in the tutorial. The projects in the Tutorial Bundle are exclusive and you won’t see them anywhere else. Here is a sneak peek of my project in the tutorial bundle. 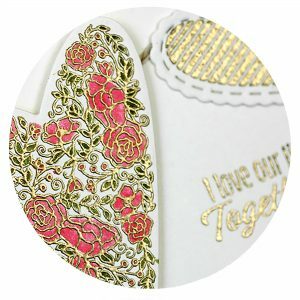 Today I have used a few of the smaller fancy heart dies from the Be Mine Stitched Framelits Dies along with the All My Love Designer Series Paper. Dead easy, I just adhered a heap of hearts die cut from different patterned papers from the All My Love Designer Series Paper onto a square panel of Whisper White Thick Cardstock, then cut off the overhanging bits. 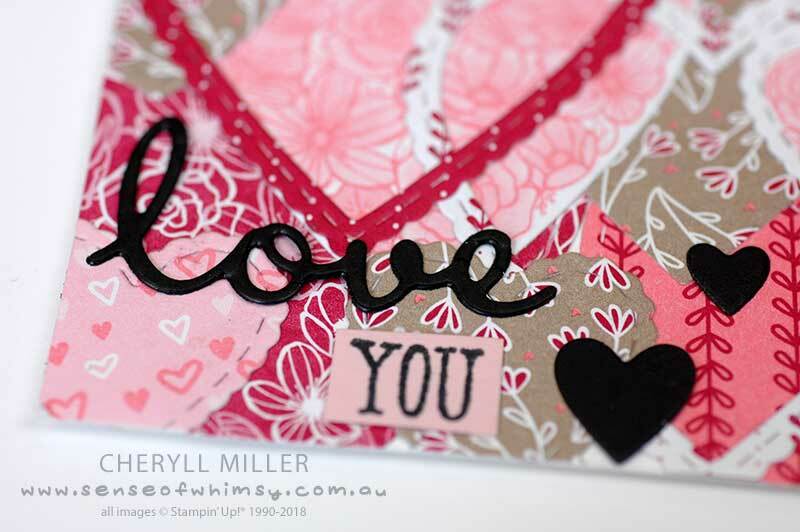 A scattering of little black hearts adds some funky contrast, and ties in with the word “Love” die cut from Basic Black cardstock. This word comes from the Well Written Framelits Dies. The “You” comes from the co-ordinating Well Said Stamp Set. These two come bundled for discounted pricing, and they will be a fabulously useful addition to any stamper or memory keeper’s arsenal. Team the dies with Multipurpose Adhesive Sheet for best results when die cutting. 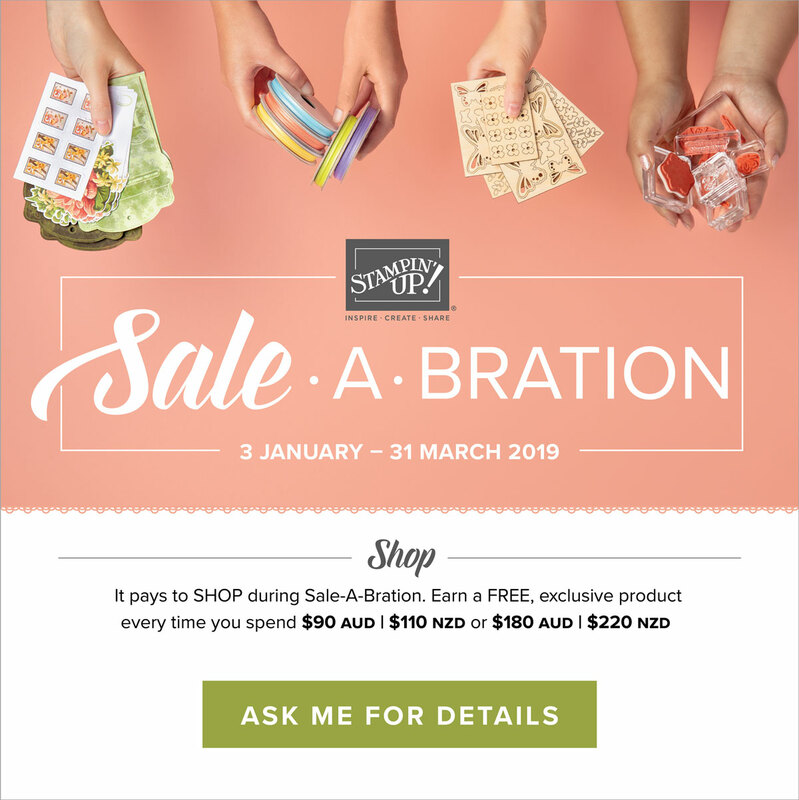 The projects in the February tutorial bundle are fresh and mostly using products from the new Occasions Catalogue or the Sale-A-Bration catalogue, so you don’t want to miss this one. Did I mention that Emma Goddard’s baby card project is AMAZING!!!! You need this bundle purely for that card, but the bonus is that you get another 11 wonderful projects as well. Here is the list of all the designer’s blogs, check them all out for more great examples of the Tutorial Bundle Design Team’s work. 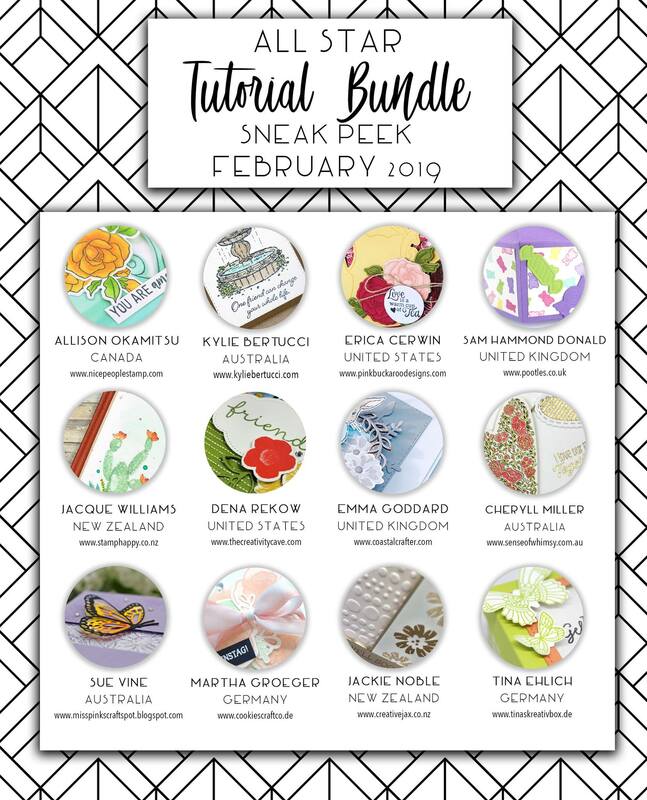 The good news is that if you are in Australia and purchase from me using the current hostess code in my online shop, you will earn the monthly tutorial bundle absolutely FREE. 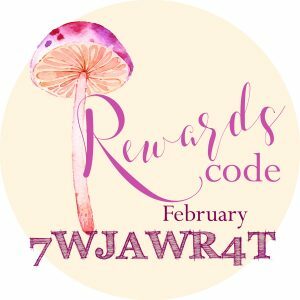 If you are part of my Inks and Whimsy team, you will be receiving the tutorial bundle for FREE. 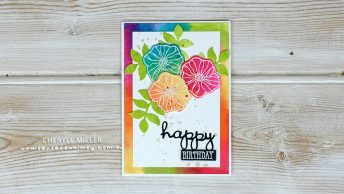 And now is the best time to join Stampin’ Up! 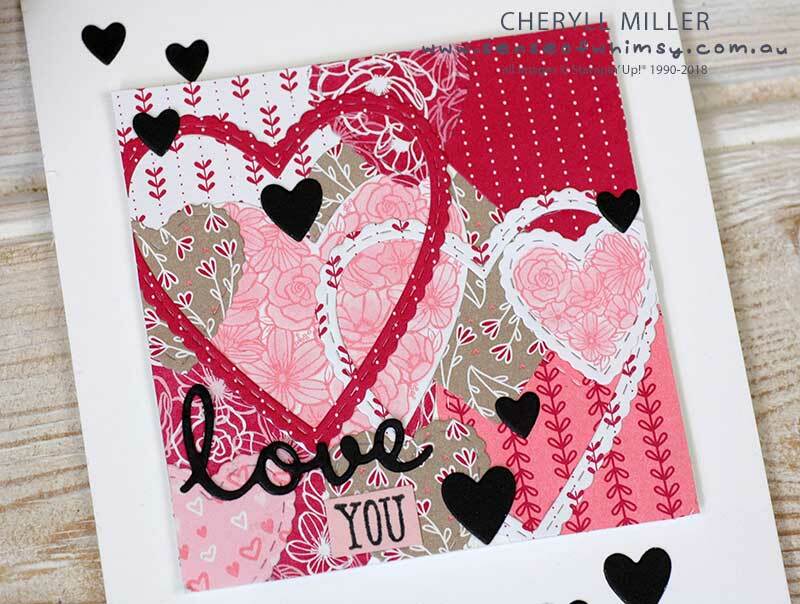 Love the Patchwork hearts Cheryll. Thanks for your inspiration on our All Star Tutorial Bundle Design Team!